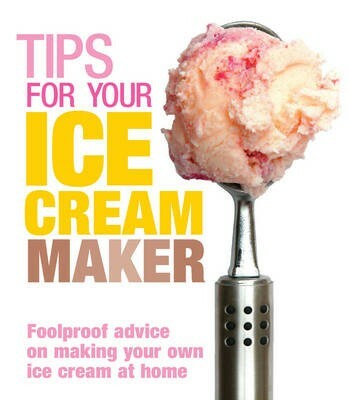 Packed with hints and tips on everything you need to know to get the best out of your ice cream maker, this handy book will show you how to make the perfect ice cream. Incorporating a wide range of recipes, there is something for everyone, from luxurious and creamy ice creams, to zingy sorbets and refreshing granitas. Features advice on: choosing the right kind of ice cream maker for your needs basic, foolproof recipes that always work avoiding and solving common problems, such as ice crystals and grainy textures choosing the right ingredients and combining flavours. Tips for Your Ice Cream Maker is packed with top tips, insider knowledge and recipe ideas - impress your family and friends with your own range of ice creams!